Will Ferrell lip syncing to 'Drunk In Love' will probably be the best thing you see today. 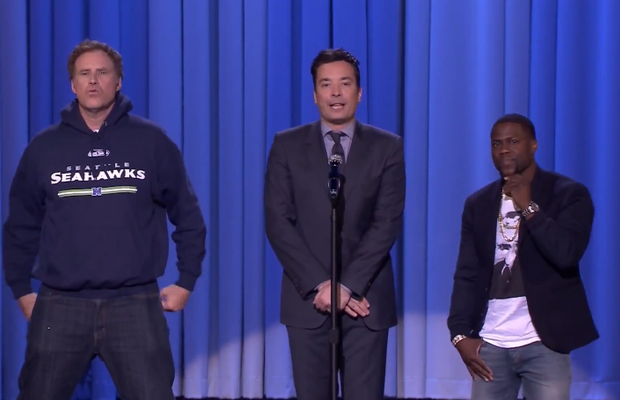 Jimmy Fallon & 'The Tonight Show' put on a Superbowl Special last night and it was incredible! One segment in particular that stood out was Fallon's 'Lip Sync Battle' where the shows guests get a chance to lip sync over their favourite songs around right now. Enter Will Ferrell & Kevin Hart. The two comedic actors powered through Beyonce, Katy Perry, John Legend AND Frozen tracks with hilarious results.